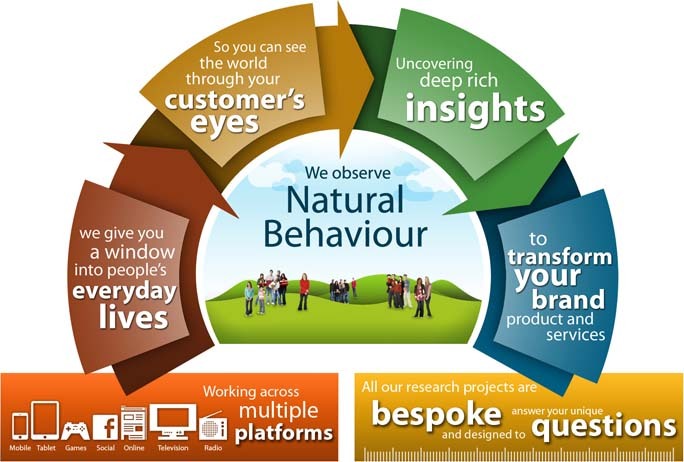 We observe people interacting with your brand naturally. We put all the facts on the table and filter out the pure insights, the ‘eureka moments’ so you can see the wood for the trees, and be certain you know your audience better than your competitors. To discuss your challenge and opportunity talk to us, and we'll design the right research programme to fit your needs.